When I was a part-time CTO for hospitals prior to joining Veeam, I was focused on outcomes: understanding how technology choices ultimately affect the clinical and patient experience with a goal of improved patient outcomes and higher satisfaction. I said as much to a West Coast health system CIO when presenting a strategy, and he said to look even further: the true outcome of technology choice in healthcare is the health and well-being of the community at large. That has been with me ever since and helped shape Veeam’s mission in healthcare — improving the health of our communities by assuring Availability of your healthcare information with simple, reliable, flexible backup and recovery software. Wherever your applications and data go, whatever platform whether on-premises or in the cloud, we protect it easily so your team can focus on the clinical experience and the health of your communities. Our top thirty customers run every major EHR platform and report substantial savings for the systems we protect. They love our software because it is powerful, easy, and we deliver piece of mind for a critical function: the last line of defense against failure of all kinds. 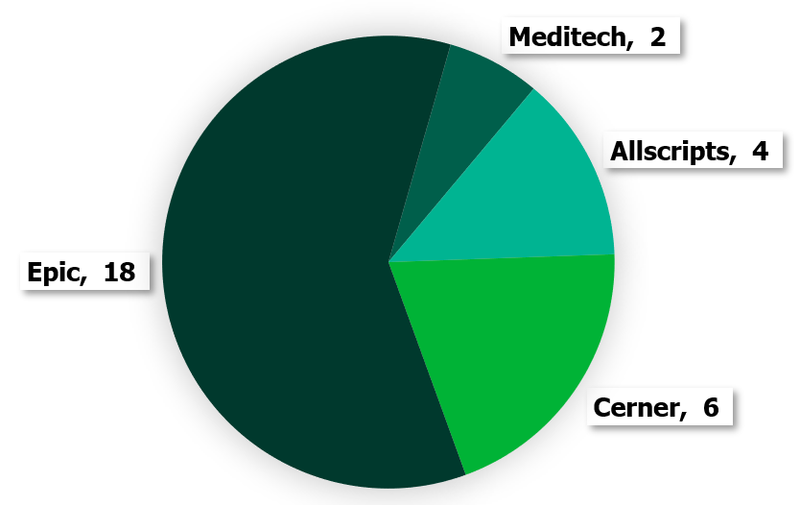 Our customers have used the savings realized by investment in Veeam software to purchase new MRI machines that directly affect the health of the communities they serve. Here are a few other examples: Greenville Health, Roswell Park Cancer Inst, Rochelle Community Hospital, Butler Health. More than 45,000 healthcare professionals will assemble in Orlando for HIMSS19 2/11-2/15 to discuss every challenge of healthcare transformation from care and payment optimization to clinical application strategy and healthcare information security. Amid the trending topics of artificial intelligence, genomics, interoperability, and the omnipresent challenges of mergers and acquisitions, we must also give time to technology platform basics: agile infrastructure consumption models, rapid scale, data and application portability to cloud, data and information stewardship, business continuity, and assured recovery. Those all sound like table stakes: critical functions that we should have well in hand. Much of it is not well in hand, however, surveys continue to report gaps in business continuity plans, phishing and ransomware continue to cause service interruptions, and organic disruptive events will continue to affect the Availability of applications and the delivery of care regardless of the technology investments we make. Add to this the further adoption of off-premises platform options from Amazon, Microsoft, and Google, Software as a Service applications such as Microsoft Exchange Online, and we require new solutions and practices to ensure protection of healthcare information and the Availability of related clinical applications. Foundations are easy to lose sight of, overshadowed by more visible elements above, but without attention and modernization, all that is built upon them is at risk. Please visit us at HIMSS19 Booth #4191 to hear our story and see for yourself how we can make a difference in your data center and the community you serve. The post Streamlined data protection for the healthcare data center appeared first on Veeam Software Official Blog.